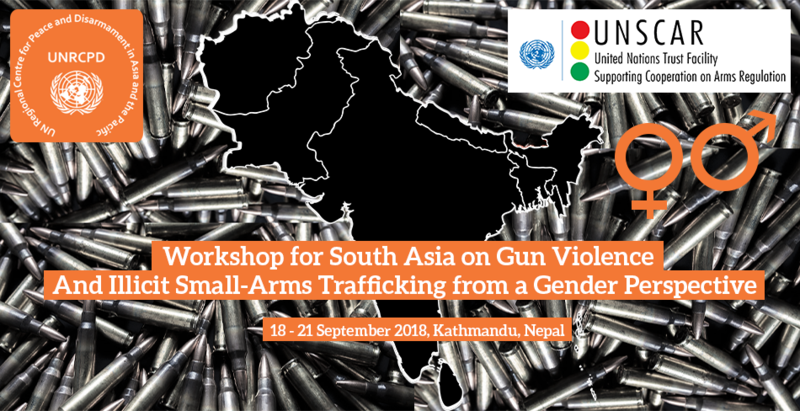 Since the beginning, UNRCPD has strengthened partnerships with regional organizations including ASEAN, PIF and SAARC to assist member States of those organizations address the threats posed by illicit SALW, work towards armed violence reduction, as well as improve disarmament outreach and advocacy. 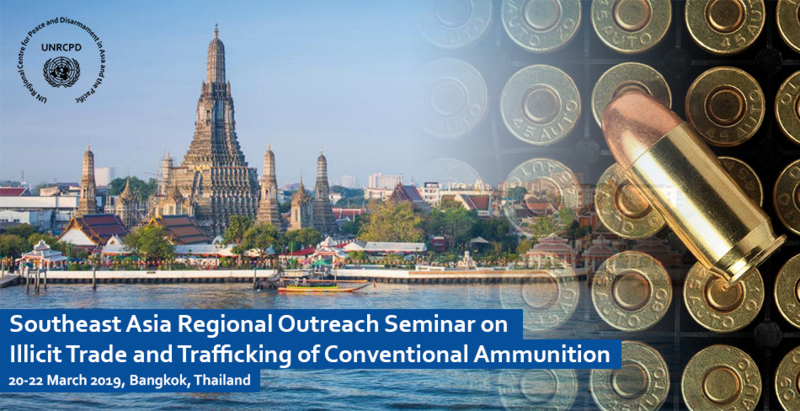 The focus of UNRCPD’s efforts to date, in the field of conventional arms, has centered on implementation of the UN Programme of Action on Small Arms and Light Weapons (PoA) and the passage and implementation of the Arms Trade Treaty (ATT). 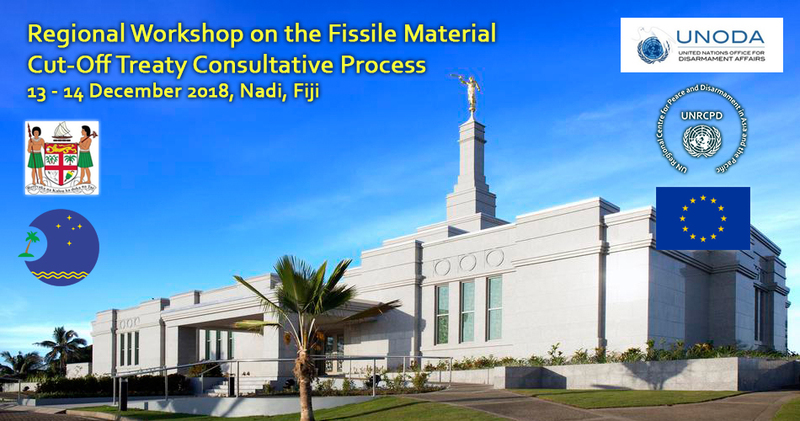 UNRCPD works to support and enable progress in nuclear disarmament, non-proliferation and capacity building across Asia and the Pacific. By partnering with regional and sub-regional organizations, other United Nations entities, as well as civil society groups, UNRCPD assists the international community in efforts to create a future world free of all forms of weapons of mass destruction. 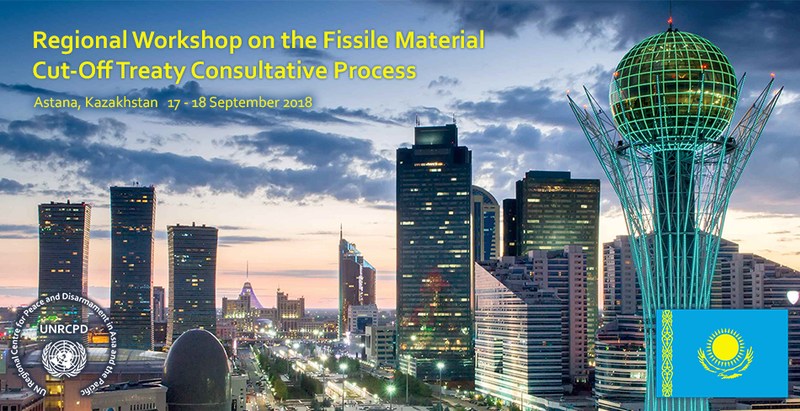 Current efforts focus on building capacity towards and implementation of UN Security Council Resolution 1540 and assisting the Governments of Japan and the Republic of Korea in organizing annual disarmament and non-proliferation conferences. 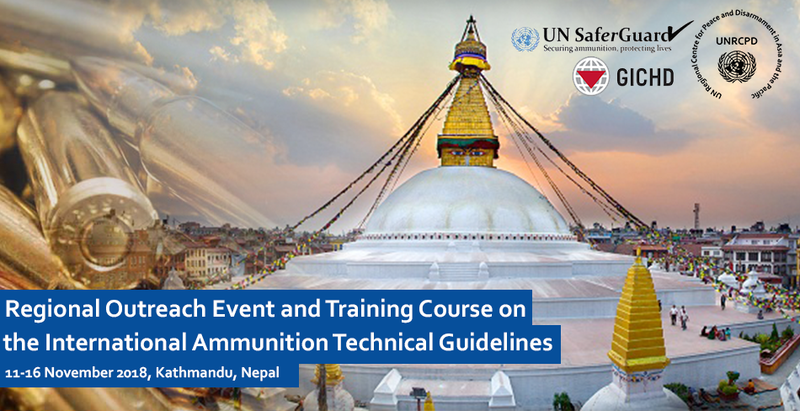 With UNRCPD’s support, Nepal is implementing a new model of delivering Peace and Disarmament education to meet post-conflict challenges – a model UNRCPD aims to bring to other countries in Asia and the Pacific in the future. By addressing the roots of interpersonal violence and reducing the demand for arms, the project will contribute to a stable, unified Nepal for future generations and help strengthen the fragile peace that the people of Nepal have worked tirelessly to achieve. 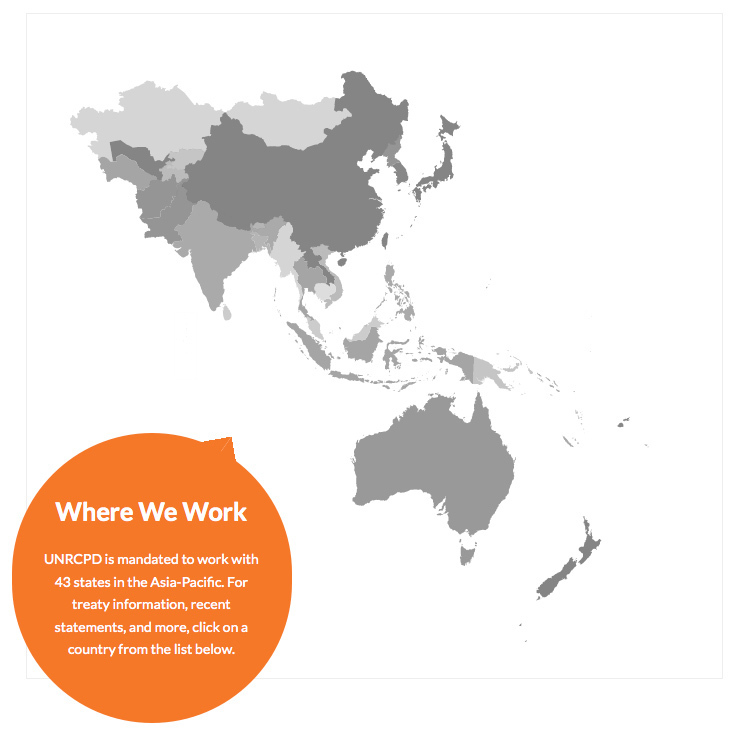 UNRCPD is mandated to work with 43 states in the Asia-Pacific. For treaty information, recent statements, and more, select a country to visit it's profile page. Note: Map should not be construed as an expression of opinion on the part of UNRCPD concerning the legal status of any country or territory, or of its authorities, or concerning the delimitation of frontiers or boundaries.